If CES is a guide, you’ll soon be surrounded by a multitude of brainy things—not only smart speakers, electronics gear, and appliances, but eventually household robots, an intelligent car, and maybe even the very city you live in. All things smart is an underlying theme leading into the annual tech shindig that commences this weekend in Las Vegas, giving the public an early look at devices they may buy later this year or next. Thought you just successfully navigated the decision about whether to purchase an Amazon Dot vs. a Google Home Mini? Think you’ve got smart lighting figured out? It’s about to get a lot more complicated. Amazon and Google are pushing their artificial intelligence (AI) into a range of uses and partner products, widening the potential for the convenience and privacy perils that these always-listening devices promise. That’s not all. To achieve this robot-controlled future, some major upgrades to the plumbing need to happen. The vision for a smart society also hinges on better bandwidth — speedy next generation “5G” wireless — and the placement of sensitive computing sensors all over your daily life. The 4,000 companies exhibiting to the 180,000-plus tech insiders thronging the convention halls will show how their products fit into that always-connected future. The 2018 show will be dominated by the usual suspects: industry stalwarts such as Samsung, Sony, LG and Panasonic. They keynotes are dominated by companies behind components that should make devices smarter (Intel CEO Brian Krzanich) or the manufacturers of traditional devices that should be getting smarter — Ford Motor CEO Jim Hackett and Richard Yu, CEO of Chinese phone maker Huawei. Nvidia, whose CEO and founder Jensen Huang was a keynoter last year, is back pushing the company’s vision for AI inside the home and car. But Amazon and Google will also have a major presence in Las Vegas, given their respective push to spread the AI-infused Alexa and Google Assistant voice interfaces into more places. We’ll learn which new products will answer to the ‘Hey, Alexa’ and ‘OK, Google,’ commands. The software giants that have long kept a low profile at the show had to come as they expand their reach into hardware. 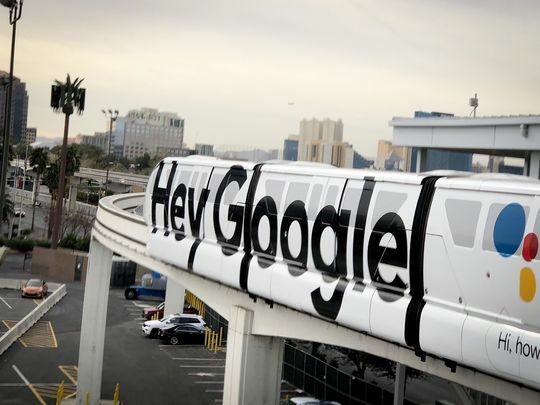 Because make no mistake, CES is still all about products, everything from wall-sized televisions and self-driving cars to drones, laptops, and household appliances. Scores of smaller and sometimes off-the-wheel gadgets will also be on display. And as always, you’ll see robots. For example, LG plans to add three new CLOi-branded robots for commercial use in airports, hotels, and supermarkets, say to help deliver luggage to a waiting vehicle. Augmented reality, in which digital characters and objects invade your real world surroundings, will likely be much bigger deal than virtual reality products, and we’ll see this Pokemon Go experience show up in more games and e-commerce applications. Companies, often privately funded, will show off the weird and wacky, adding technology to products you didn’t think was needed. For instance, startup Chipolo is teaming up with the menswear fashion brand Perry Ellis on a $75 leather Tech Wallet, which contains what Chipolo claims is the world’s thinnest Bluetooth tracker. It will sound a 95-decibel ring to help a user locate a missing wallet, provided it’s within 200 feet of the user. This year’s CES will also emphasize digital health and wellness, with dedicated areas covering sleep trackers, gluten monitors and such. The GYENNO Spoon II that’s targeted at Parkinson’s patients and promised this spring, is said to be an “intelligent stabilization utensil” that counteracts tremors as food is picked up and carried to the mouth. The emergence of the smart speakers, and tech heavyweights like Amazon and Google who are fighting for dominance, may have breathed new life into what was formerly known as the Consumer Electronics Show. The show, which is now in its 51st year, had been fighting a reputation for being a has-been. You’d be hard-pressed to name the last blockbuster product to be hatched there, a difference from CES’ heyday, when it was an early showcase for VCRs, DVRs, and HDTVs but has been more iterative of late. But CES is reflective of where the tech industry, and by proxy, all of us, are going, and if you need a concrete example of a product you’re using that had its origins there, look no further than the snazzy 4K TV anchoring your home theater. Speaking of which, now that you’ve finally embraced 4K, do you really want to consider the prospects for the 8K displays that some TV makers will preview next week? Don’t fret, commercial 8K is still a ways off. While executives from Verizon, Qualcomm and Baidu will discuss the rollout of 5G—and just before the show opened, AT&T announced plans to launch speedy 5G for smartphones by the end of 2018—CES has never been a major launch-pad show for smartphones. One person who won’t be speaking is the FCC chairman Ajit Pai, who canceled a previously schedule appearance only days ahead of the event and a month after the controversial rollback of net neutrality regulations. Ford CEO Hackett’s speech again signals that CES has become a vehicle for autonomous cars and auto-infotainment systems, even a week ahead of the automobile industry’s own big trade event in Detroit. New to CES this year is a section devoted to smart cities. Over the coming decade, companies will work to alleviate traffic and urban congestion and reduce pollution. While there’s no firm definition of what makes a city smart, it is apparent that innovations in 5G wireless broadband, AI, robotics and self-driving cars will all play an important role. Steve Koenig of the CTA says that about $15 billion was invested in smart cities in 2015, a figure that could reach $34 to $35 billion by 2020.